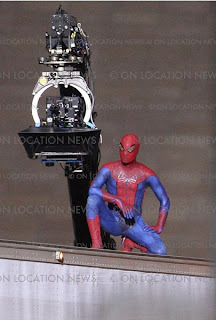 From SuperHeroHype! 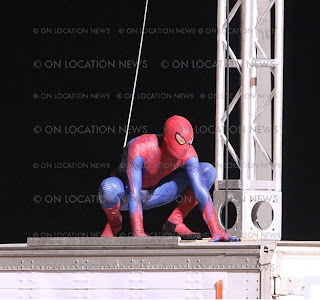 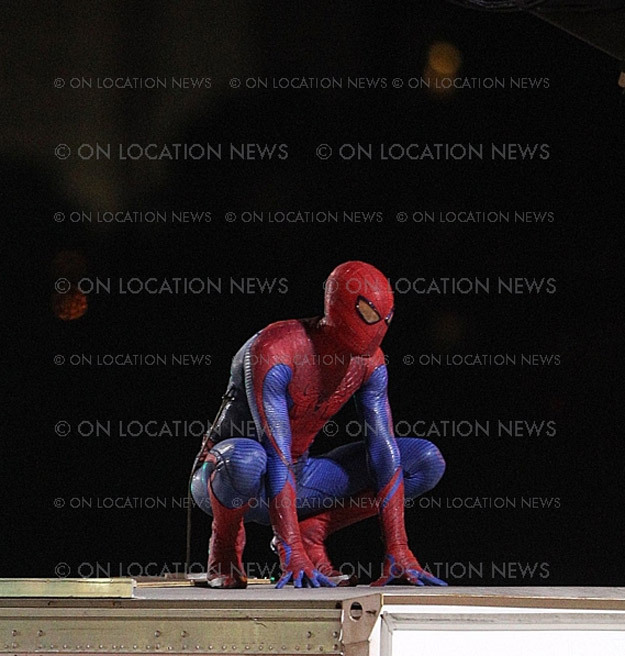 comes these great, close up shots of Spider-Man during filming in Los Angeles. 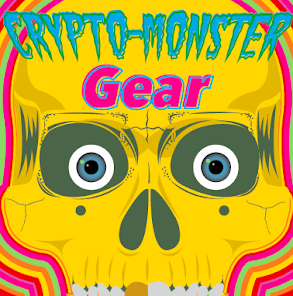 The brighter blue will take a little getting used to, but I like it for the most part! 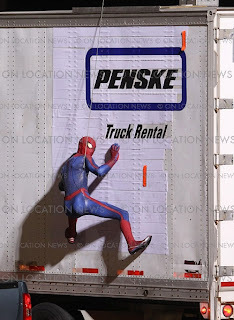 Coming to 3D and 2D theaters on July 3, 2012, the film stars Andrew Garfield, Emma Stone, Rhys Ifans, Martin Sheen, Denis Leary, Campbell Scott, Julianne Nicholson, Irrfan Khan, Annie Parisse, Chris Zylka and C. Thomas Howell. I admit I do like the smaller eyed look of the mask. 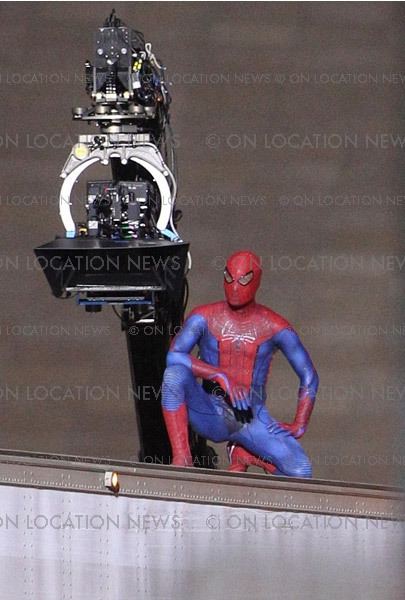 But the lack of a 'belt' and the gloves and leg-stipes are really off-putting to me.